Hey Whatsup Hello! My name is Emma. 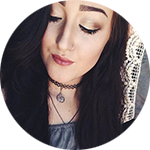 Emma, the face of the popular booktube channel, Emmmabooks, is a YouTuber who vlogs about all things bookish. With nearly 400 videos on her channel, Emma has featured bestselling authors like Sarah J Maas on her channel. If you’re interested in videos featuring book and subscription box reviews or literary discussions, her channel isn’t one to miss! Emma has over 39,000 subscribers on YouTube and over 22,000 followers on Instagram. The premium horror, mystery and thriller subscription box. We ship your box in less than 48 hours! Get Book(ish), monthly. Books and inspired goods for women.